This blog posting is on an interview I conducted with a great gal who also suffers from Fibromyalgia. Her name is Cindy Stewart. She was a nurse practitioner and licensed massage therapist for most of her career. Now, after retiring, she inspires health conscious individuals. She currently has a new book out for Fibro sufferers entitled Your Fibromyalgia Diet: Eating Your Way to Better Health. F&F: What made you decide to write the book Your Fibromyalgia Diet: Eating Your Way to Better Health? 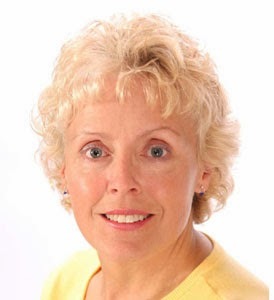 Cindy Stewart: Since there is still no known cause or recognized treatment plan that works for everyone, many fibromyalgia survivors have turned to diet as a way to relieve some of their fibro symptoms. Studies have proven that diet plays a significant role in treating fibromyalgia. Unfortunately, it's not the same diet for everybody; not everyone is helped in the same way. Since fibromyalgia is not a specific illness and is more like a symptom complex, what treatment option works for one person very frequently does not work for another. And this includes dietary measures. I know that I was initially confused and frustrated. I figured that others suffering from fibromyalgia were probably confused as well. It was then that I started researching and experimenting with many different dietary approaches. Experts say that diversity is another hallmark of fibromyalgia. So what I ended up with was a compilation of best dietary practices infused with foods that have helped me with my fibro symptoms and a simple plan to help incorporate good nutritional habits into one’s daily life. F&F: When were you, yourself first diagnosed? Cindy Stewart: In 1992, after presenting my symptoms to my doctor, he ran many tests, mostly to rule out lupus. One of my blood test came back with a positive ANA, which can be indicative of having fibromyalgia. But after other screening tests, both lupus and RA were ruled out and I was diagnosed with fibrositis (fibromyalgia was not used as a term for the illness back in those days). I was also diagnosed with Raynaud’s, as I had severe peripheral circulation problems in my hands and feet. It wasn’t until 1995, after a head-on car accident (and not recovering from my aches and pains) that I was sent to see a rheumatologist. After many inconclusive blood tests, I was officially given the diagnosis of fibromyalgia along with a new diagnosis of Hashimoto’s thyroiditis. 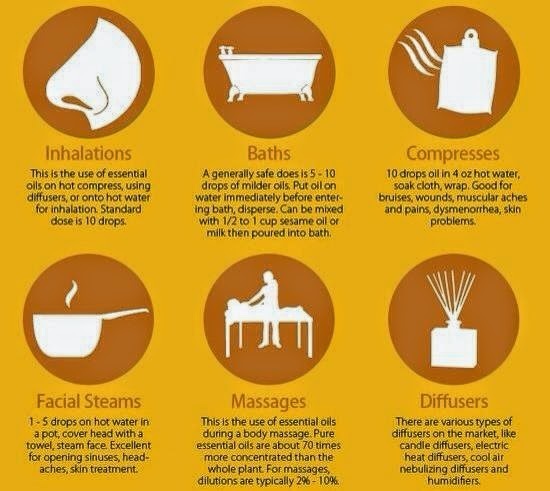 As you can see, I have spent decades trying to figure out what works and what doesn’t for my particular illness. F&F: What makes treating Fibromyalgia Naturally optimize the sufferers' health? Cindy Stewart: Not too long ago, the FDA approved several medications such as Lyrica for fibromyalgia patients. Many of us are thrilled that the medical community is finally recognizing our struggle. But I have to say, I think that those of us with fibromyalgia deserve more than a prescription for their pain and suffering. This is especially so since the initial FDA reviewers of many of the current medications used, felt that the treatment results were not that impressive. On top of this, some of these drugs along with taking pain meds that are often prescribed for us, have some unappealing side effects including weight gain, swelling, dizziness, and drowsiness (the last thing a person with fibromyalgia needs). It may come as a surprise to some, but people do recover from the debilitating effects of fibromyalgia. A case in point, is that I have not missed a day of work or a scheduled event in over 7 years as a result of being incapacitated by my fibromyalgia symptoms. I mention this to give you hope that you too can build your arsenal of effective coping strategies over time. You can improve tremendously by learning how to nurture your body from the inside out. I see this as a condition that strikes at the very core of our being, where there can be many underlying issues to uncover - from sleep and diet, to viruses and bacterial infections, to how we think and feel. It is often a difficult road to travel. But we can feel good again, if we’re willing to roll up our sleeves, do some digging, and learn some new ways of being. We all need to take a closer look at fibromyalgia and our options for feeling better naturally. F&F: Looking at the cover of the book, I see skewers wrapped in what looks like bacon. Is that bacon? Meat has been somewhat of a taboo with some Fibro diets. Can Fibro sufferers look forward to meat in their diet? Cindy Stewart: No not bacon, only grilled lean chicken breasts and onion on a bed of greens. As I mentioned earlier, not one diet approach fits all. For some, small portions of fish and poultry can be a healthy option. F&F: What are some of the benefits that a Fibro sufferer can look forward to immediately from eating naturally? What are some down the road? 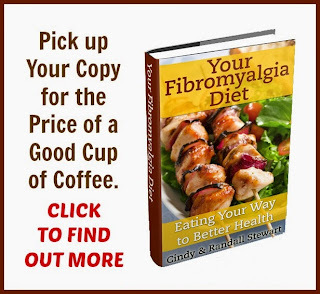 Cindy Stewart: I would encourage your readers to pick up a copy of Your Fibromyalgia Diet and discover both the benefits and great tips of eating more naturally. Wonderful information and a definitely great book to pick up! Thanks so much for stopping by Fibro and Fabulous to say hello, Cindy! Thanks Kimberley! I’ve recently begun sharing my insights and experience about how I have been able to better manage my fibromyalgia. Coming from a health care background in nursing and massage therapy, I have always tried to find natural ways to deal with my fibro flare-ups, fatigue, and irritable bowels. This prompted me to write a book about how to eat healthier, so as to minimize the frequency and severity of some of the more common fibro symptoms. I would like to offer your readership an opportunity to pick up my latest ebook for free on Wednesday, October 9 for a limited time before it goes on sale.